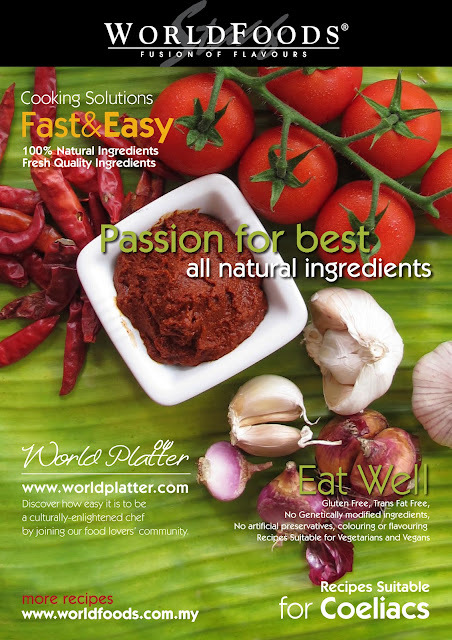 Join the WORLDFOODS Blogging Team! 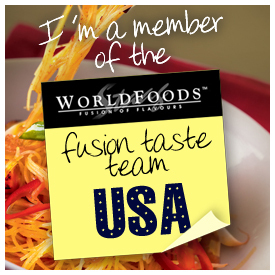 I am so excited to announce that WORLDFOODS has asked me to lead the Massachusetts blogger group for their Fusion Taste Team USA campaign. Even more exciting, I get to choose the 5 Massachusetts food bloggers who will join my team! The programme involves teams of bloggers from six states across the USA producing great content for their readers over six weeks, and competing against the other teams to win fantastic prizes at the end of the programme, while gaining great promotion and benefits. The goal? To get the word out about WORLDFOODS by having select bloggers from each participating state review a sampling of their products by November. Massachusetts Food Bloggers….Who’s ready to win??!! Who should enter to be on the Massachusetts team? Bloggers who write about food, at least some of the time. Do you have to be a “food blogger”? No, but you should love food and have food-related content on your blog (at least some of the time). Bloggers that must be willing to give honest, creative, descriptive reviews about cooking with the WORLDFOODS products you’ll receive in your hamper – and be transparent about your relationship with WORLDFOODS. Bloggers that have active accounts with Facebook, Twitter (50+ followers) and Pinterest – AND have a blog that allows pinning to Pinterest. Bloggers that are willing to interact with WORLDFOODS in online spaces, like becoming a fan of the WORLDFOODS Fusion of Flavours Facebook page and sharing your reviews there, or tweeting with @fusiontasteteam. As a group the team will win an exclusive Asian dining experience cooked by a chef, a table set from Thailand, a prominent feature in the Fusion Taste Team USA exclusive e-cookbook, a Lemongrass and Ginger cookbook by Leemai Tan, and a week’s “winning team” promotion across the social channels. Leave a comment on this post with your name, a link to your blog AND a couple of sentences that describe your favorite way to use ready to cook sauces. Like the WORLDFOODS Fusion of Flavours Facebook page. Comments must be received on this post no later than Monday, September 3, 2012 at 10:00 p.m. I will announce the five bloggers that will join the Massachusetts Fusion Taste Team on Tuesday, September 4, 2012. Once chosen, each blogger on the team will receive a hamper filled with WORLDFOODS samples to create with and review. Feel free to pass this opportunity on to any Massachusetts Food Bloggers you think may be interested. If you know any food bloggers in the following areas, have them contact the below blogs to join in their home state’s team! Disclosure: WORLDFOODS is sending me a hamper of sauces for free as part of the Fusion Taste Team USA. All opinions and reviews are my own. This sounds like so much fun, I would love to participate! I love using ready cook sauces on pasta, for meat and vegetable stir frys, curries, etc! …and I liked, followed, and tweeted! what an awesome opportunity! count me in. ready to cook sauces are wonderful for marinating and cooking proteins, using in slow-cooker recipes, and preparing pasta! what a great idea – count me in! i love trying out new ready to cook sauces for things like cooking proteins (especially chicken and seafood), making easy pasta dishes, and experimenting with veggies in my slow-cooker! What a great opportunity and I’d love to be able to represent MA in this! What’s great about these sauces is that after a 13 hour work day, I don’t have to *think* about cooking, I just saute a protein, add a sauce and make myself a salad as I unwind watching whatever is on TV at midnight. I follow them, like them on Facebook and will tweet! What an fun opportunity! I absolutely love sauces (especially Asian flavors!) and ready to cook sauces make it so much easier. Most of the time I can’t use sauces that I love because I don’t have all the ingredients on hand or the time to put them together. Ready to use let me do just that in just a few minutes! Use them in a slow cooker, for basting on the grill, or just pour and go on pasta! I liked and followed too! What a great opportunity! I like to use ready-made sauces in a pinch, or after a long day when I don’t have the time to put together a complicated meal but am still seeking something delicious. I like to add sauces to simpler pasta dishes, as a marinade for meat and poultry, and also on dishes like pizza, as a unique and inventive alternative to the traditional tomato sauce. The options are really endless! Ahhhh I wish I had seen this earlier! I would love nothing more than to be on the MA team! !